So the New Year brings a resolution that i will update this blog on a regular basis. January in the life of a bird ringer is not the most exciting month. There are very few birds around, and out patch is virtually empty of overwintering birds.so it was with great anticipation that Eran and I set off for Nafcha sewage ponds. We set up nets in the olive grove, among the grape vines and around the pond and low and behold we caught birds, 30 new birds, that's not many i hear you cry, but last January we caught only 26 in 12 sessions at the pistachio plantation. So this was were the birds hung out during winter. Another session was organised and guests were invited. Francis came from the far away Hula and Yoram and Nevo Biton came from the much closer Yoracham. 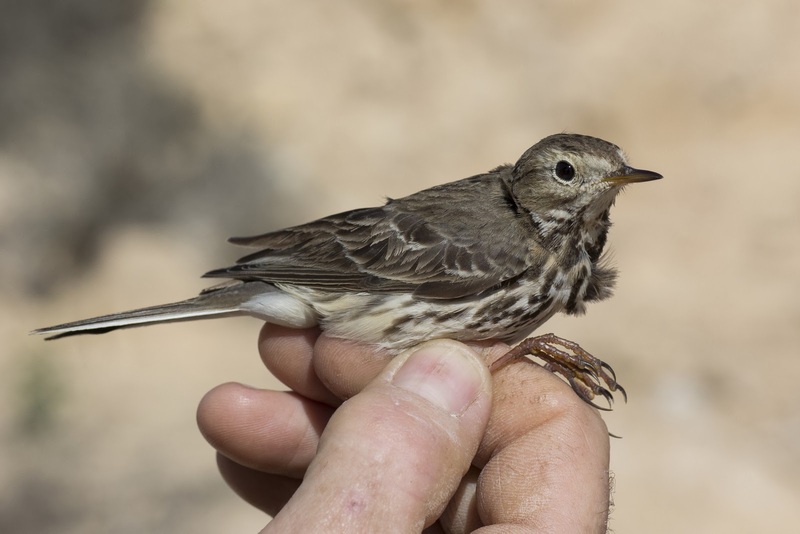 there was a high number of re-traps showing this to be a major wintering site for some species, but there was still 26 new birds to keep us happy including a first for the Ramat Hanegev region. 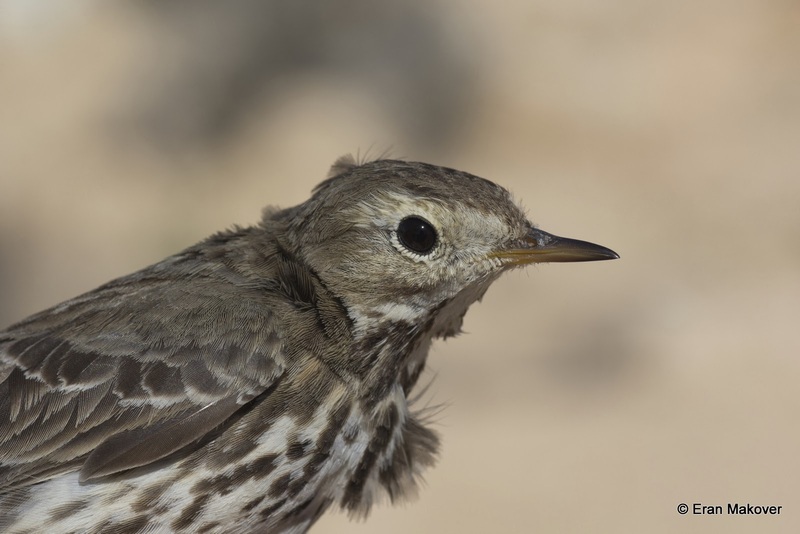 Looking like an undersized water pipit with a faint buffish tinge to the underparts, paler lores and a weaker bill with more reddish brown legs, yes you've guessed it we had a buff-bellied pipit. only a handful of these arecaught within Israel every year so that was a good way to start the year!